Containerization technology provider Docker has launched the first downloadable versions of its container orchestration toolset, and announced dozens of working and planned integrations with cloud and hosting services. The post Docker Makes Orchestration Toolset Available for Containerized Distributed Applications appeared first on Web Hosting Talk. 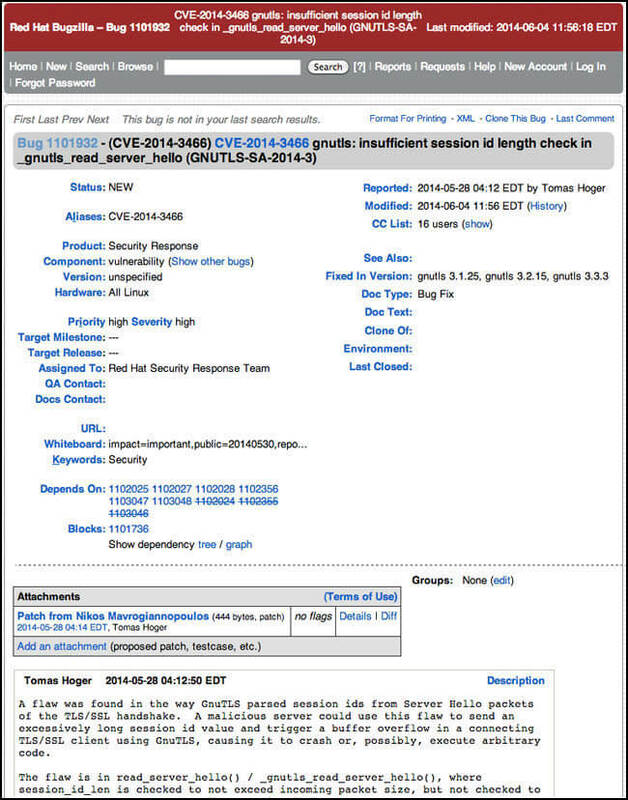 Are Secure Servers, Applications Really at Risk from GnuTLS “Hello” Vulnerability? In a blog post from radare, a company that creates reverse engineering frameworks, it showed that its r2 software could be used to exploit the GnuTLS vulnerability. radare’s recommendtion is to update GnuTLS to version 3.1.25, 3.2.15 or 3.3.4. The GnuTLS chief developer and Red Hat engineer, Nikos Mavrogiannopoulos, released updates for the library that fixed the problems with GnuTLS versions 3.1.25, 3.2.15, and 3.3.3. Red Hat discovered the latest in a long-series of GnuTLS bugs. Vaughan-Nichols’ news from two months ago begs the question, was the bug worse than first thought? Was the problem ignored? Is it really as bad as people have said or did the Heartbleed bug scare the hell out of security experts and programmers, getting faster action on GnuTLS? Is it another case of the sky is falling but no one really wants to be the one to look up and see? Whatever the answer, is there really any bug that can be ignored? Geek Ethicist: Does Technology Make Lazy Parents? Across various computing platforms, there are many applications and processes, which are being run. Role of platforms has been oft discussed and there are proponents of Linux, windows and java systems. When most people think of dedicated servers, they typically only think of the kind that used to run their website and hold all of its data. The advancement in technology and mobile technology has changed the way we operate and work in this world. Our way of communicating, working, living and sharing is changing at a rapid pace and we are always connected on the go.